Say what you will about pumpkin flavor showing up everywhere, there’s still nothing like a fall pumpkin pie. In this vegan version, you won’t need much more than pumpkin and spices for the filling but tofu will give it a little firmness. 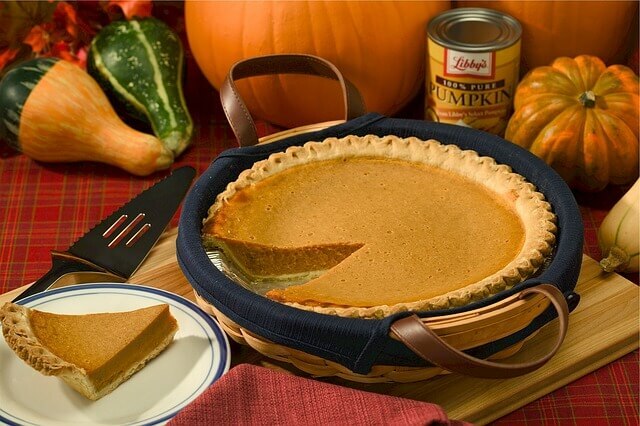 Blend them up and pour into the pie crust, made easily with cold margarine and flour. Top the pumpkin with vegan ice cream or another fall harvest fruit. It’s filled with protein and sweetness for the perfect fall evening dessert.